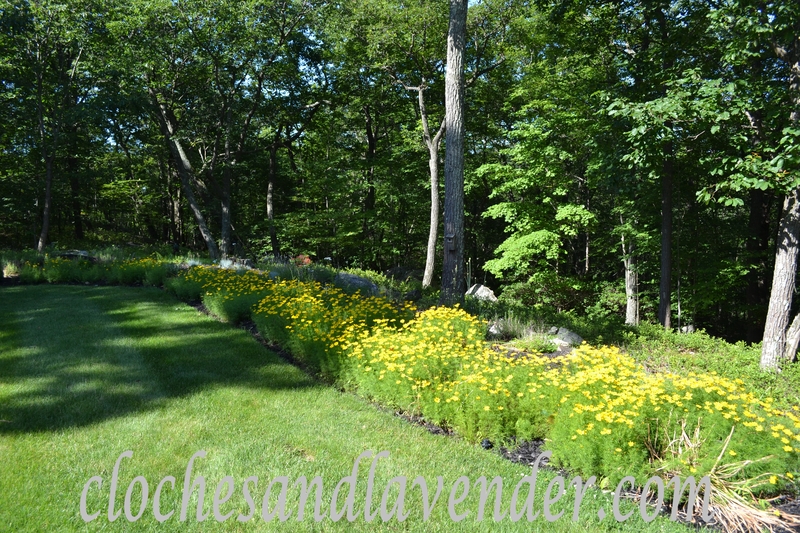 From plantings and splitting over the years our Coreopsis has become stunning. 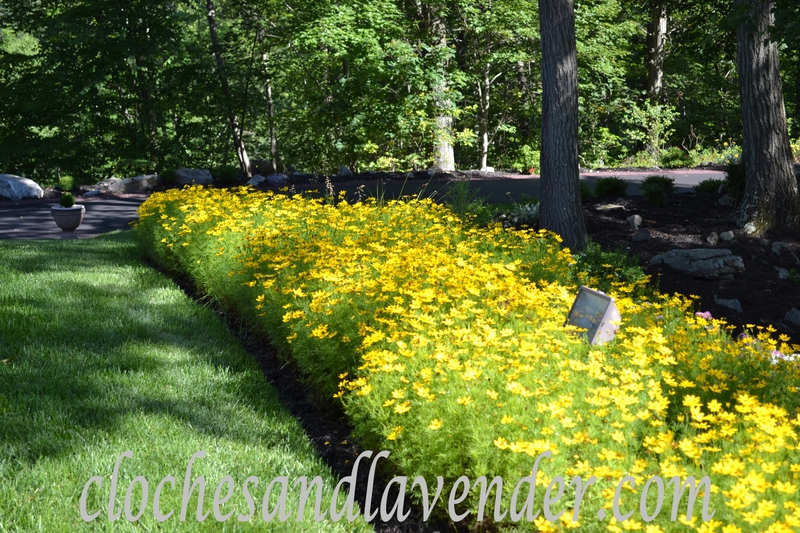 They are such a beautiful shade of yellow they brighten the whole front and back of our home. I also have them in some other smaller groupings in and around the front walking garden. They even seem to glow in the dark at night. 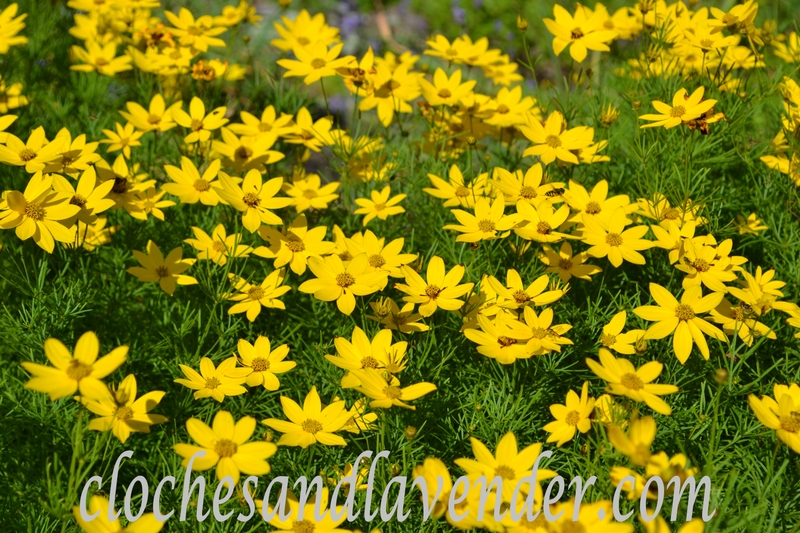 These are another plant the deer don’t have any interest in at all, so if you have a problem with deer get yourself some moonbeam coreopsis; but it has to be yellow. We tried to add some pink here and there and for some reason the groundhogs love them but not the yellow ones. Who would think animals would be so choosy? It took us a while and a lot of splitting to get them to fill in to make in nice and lush. 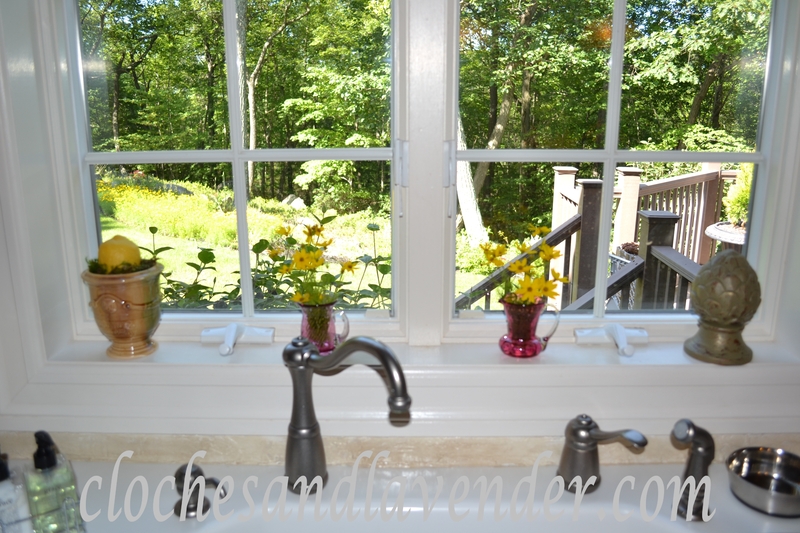 During the summer I take various clippings of all our perennials and use them around our home in various spots, on tables and in different rooms…more on that later. Here’s a spot I always like to keep a few small cuttings, so I have them in my view while I’m at the sink area. They look beautiful…….such a bright yellow. You have a great property. What a beautiful garden you have! The yellow flowers are so pretty and cheerful. Thanks for your visit and have a wonderful week. I would check it out they are great plants. 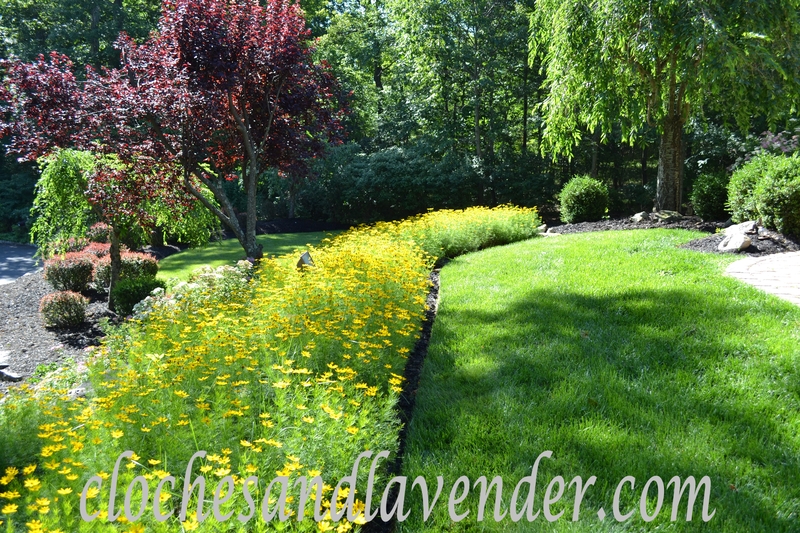 such a pretty sea of color, cynthia:) your garden is gorgeous! have a great week! Your gardens are amazing!!! I You must have a large property. Thank you very much. We do have a lot of property. 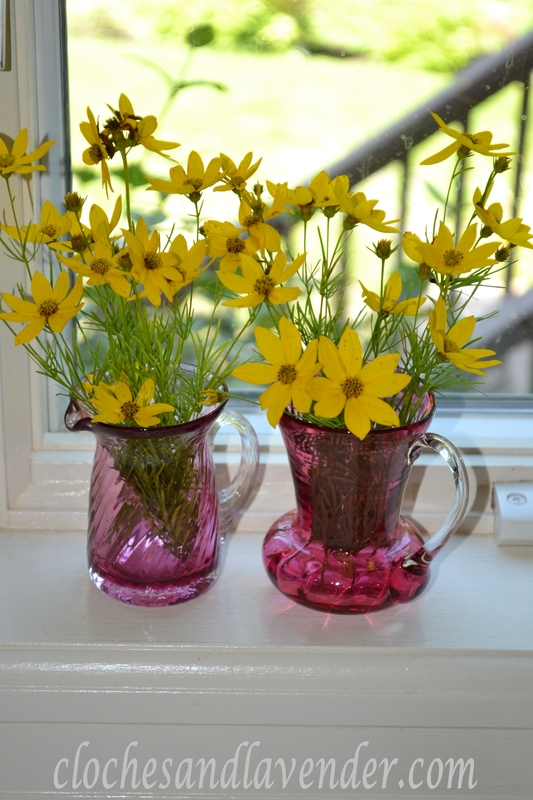 I love how your flowers look in the cranberry glass. Your garden is beautiful. Thank you very much Larry . Tracie thank you so much it is growing like that in my backyard as well. I just love it and I clip the flowers off and put them around my home. Thank you for hosting again.